Sell your CLUSTER items on eBay ! Not quite as good as "After The Heat", which has some actual songs with vocals, this is still a good effort. 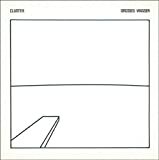 Resembling a cross between Cluster's work and Eno's quieter "Another Green World" or "Music For Films" tracks, this is predominantly electronic stuff. The first "Harmonia" album would be another good comparison. My favorite track is "Die Bunge", a bouncy, catchy piece of quirkiness. The low point comes right afterward with the annoying "One", a title which aptly describes the number of pitches used over the course of six long minutes. A solid 3.5 star low-key effort. 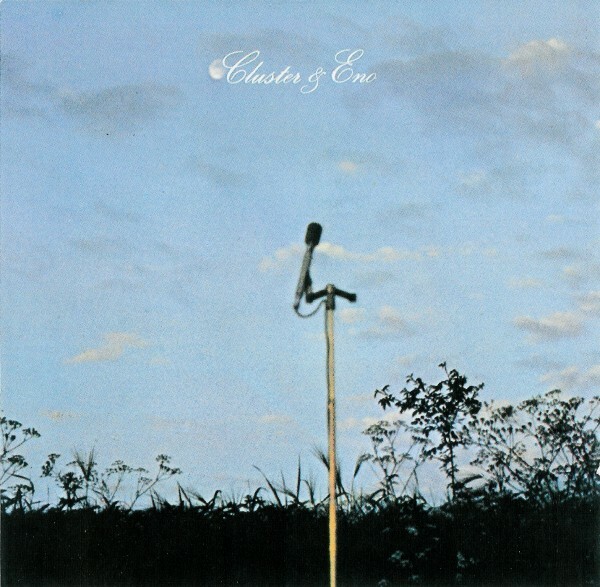 The first of the Cluster/Eno collaborations to be released (though both came from the same sessions), Cluster & Eno is the more consistent of their two albums. It's a good example of a collaboration that brings out the best in all concerned, and the result is a little gem of an album that achieves the kind of timeless beauty that can be heard on some of Popol Vuh's albums of about the same vintage, or Jade Warrior's Floating World. It's a purely instrumental affair which combines Eno's detached minimalism with Cluster's atmospheric soundscapes. The music has a warmth and humanity that is sometimes lacking in Eno's ambient excursions and a sense of structure that Cluster didn't always have on their 70s albums. The opening piece, Ho Renomo, features a guest appearance by the incomparable Holger Czukay and sets the scene for what is to follow - a simple theme is played on one instrument (usually one of the keyboards, though there is also some pleasantly non virtuoso guitar to be heard) and then a variety of sounds, textures and counter melodies are played around it. Most of the pieces seem to grow organically, and there is little emphasis on linear melodic or harmonic development, which adds another layer of exoticism to the music. The pieces are mostly short (the longest clocks in at just over 6 minutes) and while the texture shifts and changes constantly there is a consistent mood retained for the full 36 minutes. It's not all wispy keyboards and synths either - Mit Simaen is a purely acoustic piano piece which recalls the music of Erik Satie, while Selange (which opened side 2 of the vinyl original) has a slow backbeat played on some extemely rudimentary percussion. Die Bunge even features a chord change, which is effective partly because it is unexpected at that point in the album. One is the longest track and features a couple of guest musicians on what sound like Indian instruments, which are manipulated and distorted (presumably by Eno) while Cluster create a hypnotic elecronic backdrop. It's the darkest track on the album, and for all the lack of events on the surface it constantly mutates and reveals new facets of itself. The album closes with the beautiful, piano based Wehrmut, a ghostly fragment that wouldn't have sounded out of place on Eno's Music For Films. 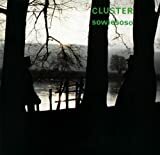 Cluster & Eno isn't quite a 5 star classic of progressive music (in some ways it's closer to ambient than prog) but it is a classic of it's genre - 4.5 stars and a strong recommendation to fans of Aonther Green World. Well the tile of this album is a bit misleading I think, as it might want to read as Eno & Cluster, as clearly Brian gets the upper hand. Between the pair of German minimalists playing their usual Krautrock close to Kraftwerk and the single English ambient star, the balance clearly tips in favour of the ambient record. Never really a fan of these types of record, I must say I was always feeling that this particular album could be cited as a good example of such music. And clearly, if the album avoids boredom (as is often the case in the genre), it does not bear repeated spins in your deck. Ideally, this record would get a play every third year, but then again with this sort of spinning average, is this album worth your acquisition? To ask the question is already answering it. Hardly essential (but in the ambient genre, which one is? ), but certainly good enough to get that third star. Oh man, this album is so ... so ... German. Yes, I know this is to be expected given that this is a collaboration with Cluster, one of the early pioneers of German electronica, but even after steeling myself with that knowledge, there's still just too much stern, cold, robotism here for my taste. Yes, a decent number of tracks manage to sneak a bit of humanity and even beauty into the sound, but way too much of this is the kind of stone- faced emotionless wankery that fits in too perfectly with my prejudiced stereotypes of German music. I mean, when the All-music Guide says that "Schone Hande" (I know there are supposed to be dots over the o and a in that name, but I'm too lazy to look up the proper html codes for them) and "Steinsame" are "emotionally rich," all I can think is that Germans and lovers of German music have really screwed up definitions of emotional richness. "Schone Hande" has a somewhat intriguing "wobbly" synth sound, but the trio doesn't really do anything with it (and no, I don't think all the blips and plunks in the background count), and "Steinsame"'s synth sound is so ugly and so opposite of the kind of sound I like to hear from Eno (I mean, this is practically the negative of the glorious sound produced by, say, "Becalmed") that I can't stand it. And "One," well, the less said about that the better; that there's some ugly use of sitar (or whatever it is that's imitating it) feedback, and that it lasts six minutes doesn't help. Of the other six tracks, "Selange" doesn't really stand out for better or for worse, but the other five interest me enough to at least drive the album's rating up to a low ***. The opening "Ho Renomo" has some very pretty piano tinklings that are overlaid with some quiet rhythmic organy synths, some sounds that kinda strike me as the synth equivalent of hitting an anvil with a hammer and a bunch of "buzzing" sounds that instantly remind me of the album's cover. "Wehrmut" is dark and foreboding, but in a good way (the darkest elements come from the lowest-pitched repetitions of the track's main four-note theme), the minute-and-a-half "Mit Simaen" has a perverse sort of beauty in its simple melody, and "Die Bunge" has the album's one slight glimpse of levity with a goofy "galloping" rhythmic line that sounds like a cross between part of a Western movie and the music on a carnival merry-go-round. And finally, closing out the album is the best track here, the strangely beautiful "Fur Luise," which is a bunch of lovely sustained chords with swirling "woo" noises that get longer and louder and weirder as the piece progresses. It sounds interesting, but more than that I find it really moving; it's kinda like what I would expect to hear in the background during a particularly emotional moment of a high quality sci-fi or fantasy movie. Still, while these five tracks are quite nice, the rest of the album irritates me enough that I can't give this a high grade. It's particularly disappointing given that I enjoy the second Cluster/Eno collaboration, After the Heat, as much as I do. There's certainly good reason for a major fan of German electronica to want this, but casual Eno fans probably shouldn't bother. Music for when you have something else to do. This is background music. It's very good background music, but that's all it is. Eno, along with Moebius and Roedelius, here created an album of keyboard soundscapes and rhythms, which swirl and mesmerize, but don't really go anywhere. 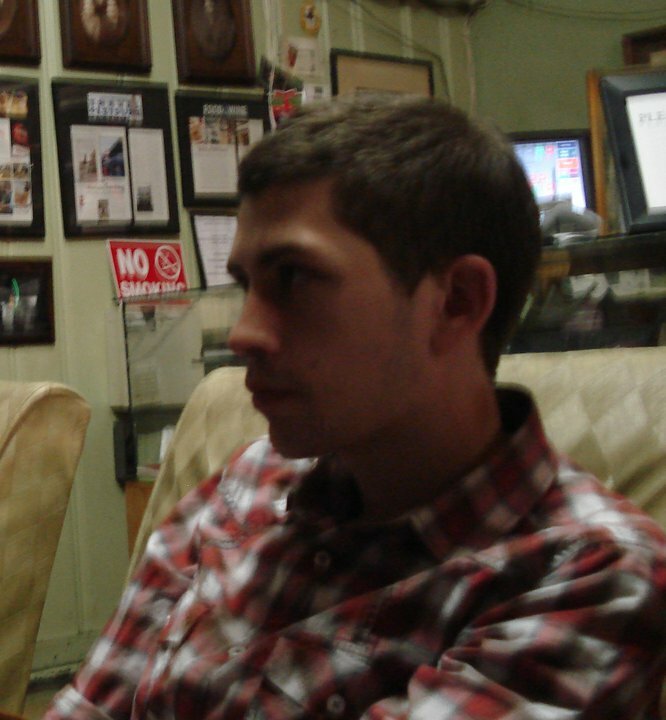 The album is pleasant enough to listen to while you are reading, working on a computer, or otherwise have something else to occupy your attention, but at no point does it jump out and grab that attention for itself. Don't get me wrong. I like the album for what it is. It's well produced, and probably achieves what the musicians were intending. 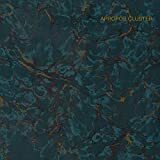 Eno sits in with Cluster to produce an album highly reminiscent of Krautrock albums from the early 1970s. There's the Eastern influences dabbled in extensively by Ash Ra Tempel and Popol Vuh, there's the improvisational freakout atmosphere, there's the heavy dependency on synthesisers and keyboards. 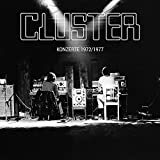 All the Krautrock cliches are present and correct, but despite all that the album seems to be missing something; it sounds, to my ear, like three synth wizards trying hard to make atmospheric music but not quite working out beforehand what sort of atmosphere they are going for. It's a nicely performed album, but it feels kind of needless and directionless - as if it's trying and failing to justify its existence. By 1977 Brian Eno had shrugged off his feather boas and was cultivating a prescient interest in minimalism, just in time to avoid the terminal bombast eroding Progressive Rock's higher ideals at the end of the decade. In a year that saw the release of Pink Floyd's inflated "Animals" and ELP's even more pompous "Works, Volume 1", it's no wonder the ex-Roxy Music hermaphrodite cut his hair short and turned his creative gaze toward Germany, where a rebel subculture of kindred pioneers like Dieter Moebius and Hans-Joachim Roedelius was quietly dismantling the electronic music rule book. In retrospect the collaboration was more Eno than Cluster, extending the former's "Music For Films" project, in construction at exactly the same time. The nine brief doodles presented here don't exactly qualify as ambient soundtrack fodder, but they show a similar, highly evolved sense of near-subliminal understatement: rich in atmosphere and nuance, and purposely designed to have an almost negligible impact. 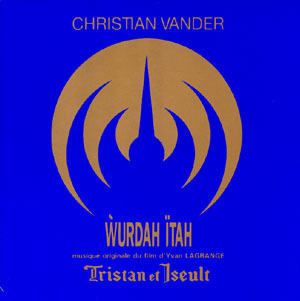 Under the reliable guidance of producer/guru Conny Plank - the invisible fourth member of the trio - the album made an admirable virtue of its compositional modesty. The opening "Ho Renomo", featuring Can's Holger Czukay on bass guitar, is a notable highlight: five hypnotic minutes of undiluted Krautrock mesmerism, the sound of a treasured childhood memory recalled in dreams. The six-minute "One" (Eno spelled backward of course, and by far the album's longest track) is another obvious standout. Like so much else in the 1970s it looked east for inspiration...by way of the planet Neptune, in this case. That persistent drone was the work of Dutch sitar enthusiast Okko Bekker, who would rejoin Plank and Moebius the following year on the self-titled Liliental album. Eno, Moebius and Roedelius would likewise meet again (see: "After the Heat", 1978). But the sequel, while excellent in its own way, lacked the surprising novelty of the original: a revelation of sorts in 1977, and still worth hearing when the pace of modern life becomes too hectic. 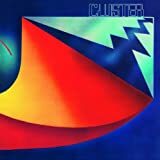 Post a review of CLUSTER "Cluster & Eno"